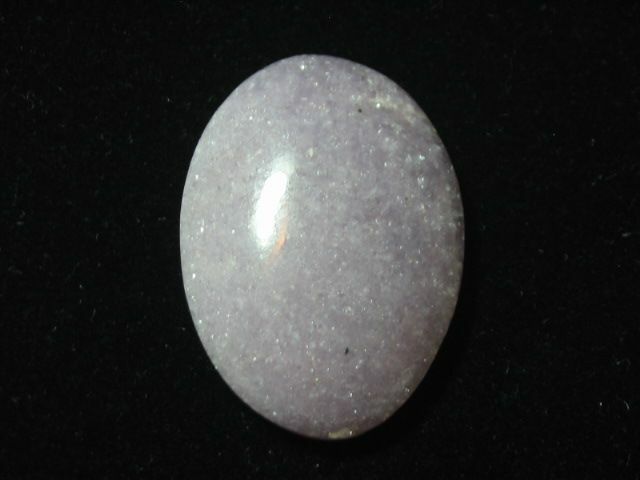 These are stones cut from Lepidolite, a material found with Tourmaline. We charge one shipping cost for all that will safely fit in a Small Priority Flat Rate box and will ship to the U.S. as well as Internationally. First Class Shipping available upon request. 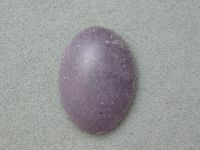 This is a 30 mm round Lepidolite cabochon. It has a slightly raised dome, is just over 6 mm thick, weighing 45 carats, and has an edge to fit a bezel if desired. The back is unpolished. It's ready for mounting in any custom, preset or wire-wrap design. First Class shipping available upon request. 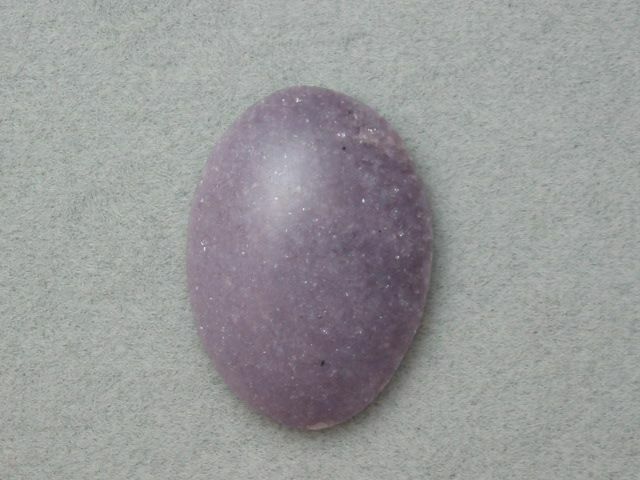 This is a cabochon cut from Lepidolite. It is 22 x 30 mm and 7 mm thick. The weight is 32 (31.8) carats. It's ready for mounting in any custom, preset or wire-wrap design. First Class shipping available upon request.